Looking for information on KissAnime Mobile and where to download the latest APK app? You are in the right place. Watching Anime is something we all at one point, have come to enjoy. Thanks to the good story lines and character background, Kids and teenagers can’t go wrong with the entainment this brings to the table. Once upon a time, I used to be a fan of animes. I still am. While this is great entertainment, it’s nice knowing we can all come to enjoy this service on the internet without necessarily having to stay glued to our television waiting for it to be shown. 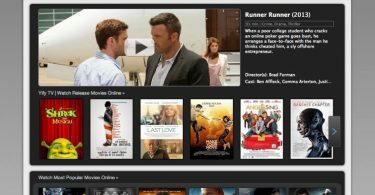 On PC, there are quite a number of sites and online sources you can get to watch these shows. However, this is a bit limited on mobile, especially when it comes to apps. Although a few premium apps and services like Crunchyroll and Netflix are available, not everyone can pay to watch. Thankfully, there is a substitute available and that is Kissanime Mobile. Kissanime Mobile App has got a huge database of anime series. Not only do you get to watch your favorite anime shows, you can create an account and get to interact with other users on the platform. You can also bookmark your favorite series and come back to them when you deem fit. Being able to actually download episodes of these shows is doable and in the course of this article, we will be showing you how to get that done. If perhaps, you are searching for Kissanime website, the website doesn’t seem to work with mini browsers. There seem to also be speculations and rumours around the internet regarding Kissanime site closed or kissanime isn’t safe. This isn’t exactly true. Kissanime is safe however, we can’t exactly say the same for the mirror websites. Thankfully, on your mobile device, you need not worry about kissanime website. This is as a result of the fact that Kissanime Mobile works well and should be handy for you instead. While most users get to watch anime shows and series on Desktop computers, laptops and tablets, this isn’t very convenient. I mean, you can’t carry these devices around as you would carry a smartphone. 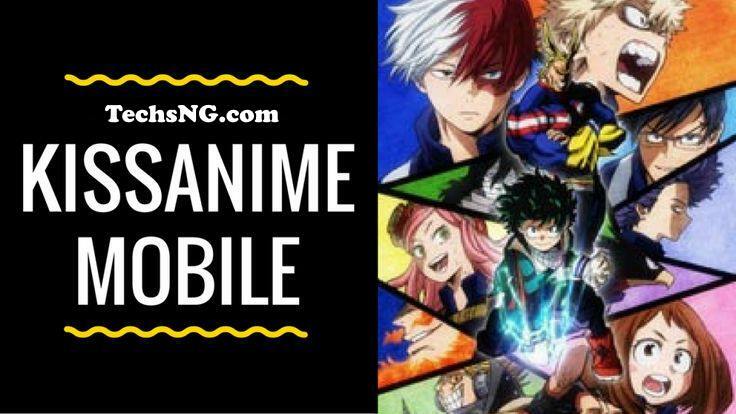 The need for ease of being able to watch animes on mobile is necessary and that’s why there is a kissanime Mobile app to watch anime on your Android phone. Yes, as at when writing this, the application is only available for Android. iPhone users are currently left out, sadly. Perhaps if in the future, I come across something worthwhile for iOS users, I will be sure to update this post or create a new one regarding the subject. Without further ado, here is how to download kissanime Mobile application on your Android phone. Make sure allow installation of apps from unknown sources is allowed on your Android device. To do this, go to settings > Security > Unknown sources and toggle the option ON. Return back to the download folder. If using Google chrome, tap on the option icon and select Downloads. Wait a couple of seconds for the installation to be complete. At this point, you can go ahead and launch the application. However, if you care, let’s discuss some features of the application. Kissanime Mobile app brings quite a lot of features to the table. We will be looking at a few of them here. Over time, you should discover other features during the course of using the app on your own. Easy to navigate. The kissanime Mobile app is easy to navigate. The app doesn’t seem all jam-packed and a newbie should be able to get around the app. Watch thousands of anime series. The mobile app brings loads and loads of anime series for your viewing pleasure. There are so much there you’d most likely run out of options. English Series. Although animes usually portray the Japanese culture, a lot of the shows on the platform are transcripted in English. Favorite favorite anime shows. Rather than having to memorize or note down the names of your favorite shows on the platform, you can simply add them to your favorite list that way, it will be easier to return back to them. Download episodes of shows. The kissanime Mobile app allows you download episodes of your favorite shows. Search option. There is a search option on the mobile app. That way, you can easily find your favorite shows on the app. Select anime shows via genre. You don’t have to be indecisive. Love action animes? Simply select that option in the list genres displayed on the app. On the kissanime Mobile app, downloading episodes of your favorite anime shows for offline viewing is easy. Here is step by step guide on how to download episodes using the mobile app. Options to open the file will be displayed. Select Download for the download to commence. Alternatively, you can use the Advanced download manager app. Just launch the app once before going over to launch the kissanime app. When displayed the option to open with, select to open with ADM editor. That’s it. 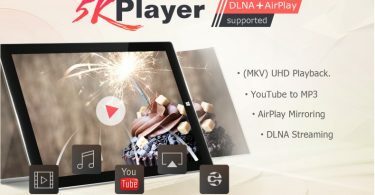 That’s how to download your favorite anime shows in your device for offline viewing experience. The app isn’t 100% bug free. This isn’t odd either. It’s really nothing to be skeptical about. Perhaps, over time, the app will get better upon newer releases. However, pending the time, these are bugs you may likely encounter. When you try loading the episode, you may be faced with an error message saying “Ad was reloaded too frequently”. To bypass this, simply tap on the episode again and it should begin streaming or downloading. If you notice other bugs, please be kind enough to share using the comment session. Wrapping this up, I would say kissanime is indeed an awesome app for streaming anime series. I particularly like the idea of being able to easily download these series and episodes for offline viewing. kissanime Mobile is often updated with new episodes and series. Hence, it won’t be out of place to check the app frequently. These animes are subbed and dubbed in English so the need to understand Japanese is totally scrapped. Hope this answers your query in regards downloading Kissanime Mobile APK app and other related questions.